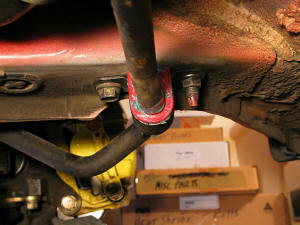 I began with the sway bar bushings, as they are very straightforward. There's a 14mm nut and a 14mm bolt securing each bracket. Remove both of the brackets. and the sway bar will swing down, suspended only by the link at each end. I removed the old bushings and sanded the bushing section of the sway bar smooth, removing any rust that had accumulated. The replacement bushing is split, just like the OEM part. Liberally grease up the inside and outside of the bushing and install it over the sway bar. 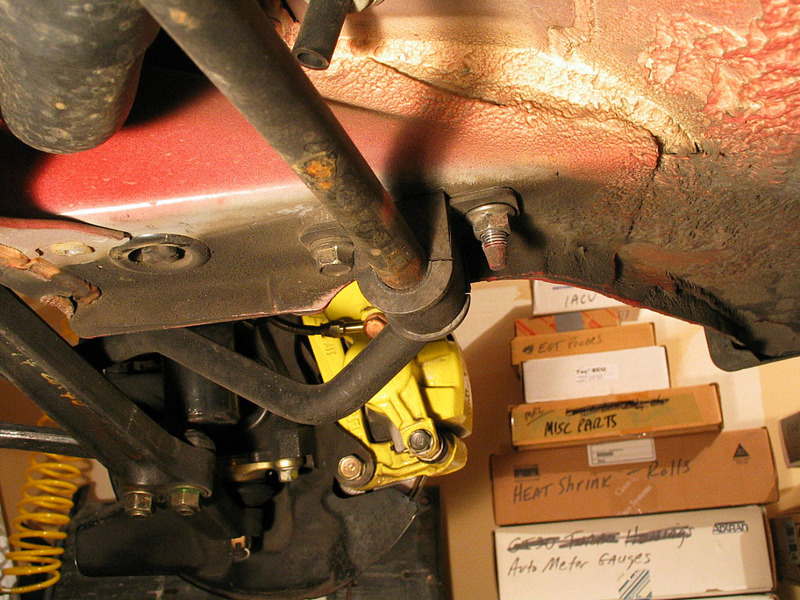 Slip the bracket into position, and install the nut to hold it into position.